Chalkboard Technique Cards Black or White? 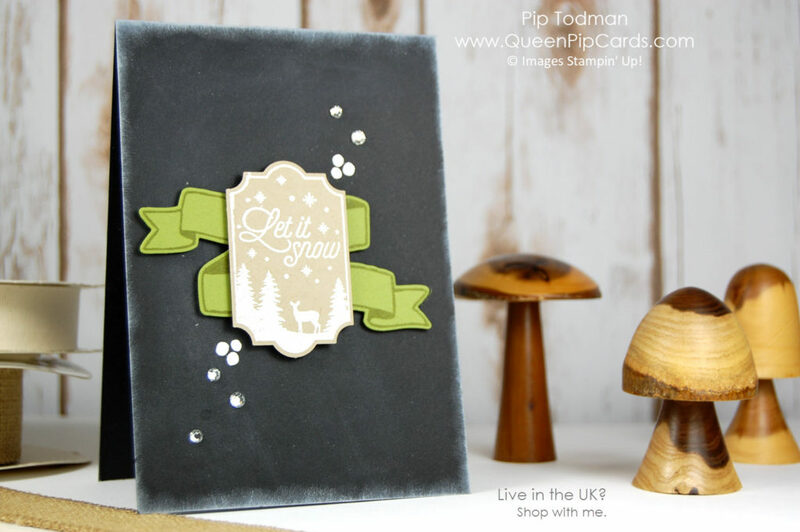 My question today is this, Chalkboard Technique Cards do you prefer Black or White? Me I like both, but I’m biased I guess. When Valerie showed me these cards, I fell in love straight away (as you know we’re doing a design swap this Christmas – so much fun!). I did change up the Black version though, I added some Craft ink to the edge of the Black card to soften the look. On the other hand the crisp, elegant lines of the white card are just so classic. You can replicate these very easily and make a ton for Christmas cards. Make both – that way you won’t have to decide! To reproduce these cards, all you need is the Merry Little Labels bundle, some Whisper White, Old Olive, Crumb Cake and Basic Black cardstock. 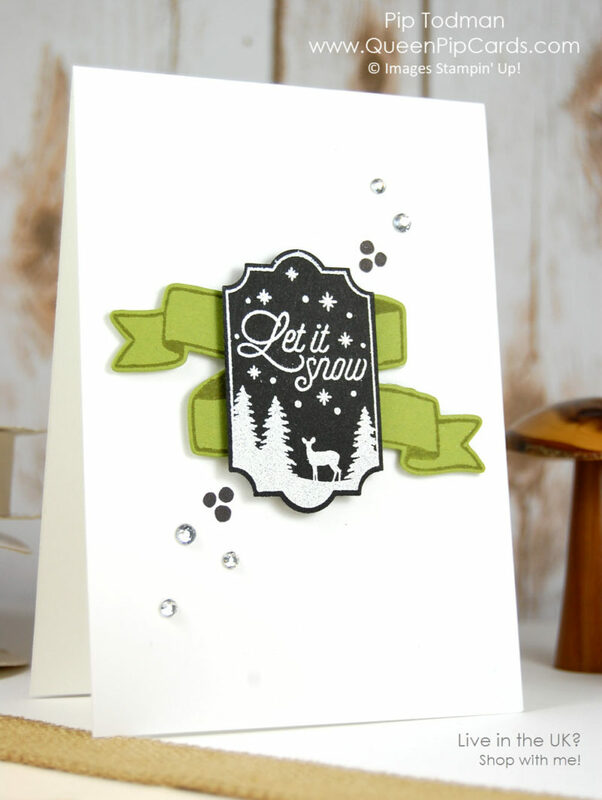 Your basic craft tools of Heat Gun, Embossing Buddy, Versmark and White Stampin’ Emboss powder. From your stamp stash you will need Old Olive Ink, Banners for You and the coordinating Framelits. If you want to add the softer Craft look image, then grab your Craft ink and a Sponge Dauber. Oh and don’t forget the Basic Jewel Rhinestones bling! I love the accent detail using the 3 dot stamp from Banners for You. You can emboss it in White on the black card and stamp in black on the white card. It just ensures the Rhinestones and label is pulled together and pleasing to the eye! Such a simple element to these Chalkboard Technique Cards that makes such a difference. I hope you’ll be inspired to make some Chalkboard Technique cards at home for your friends and family this year. How To Use Blender Pens and Glycerine with Bird Banter Get Floral With Foliage Frame Framelits from Stampin’ Up! 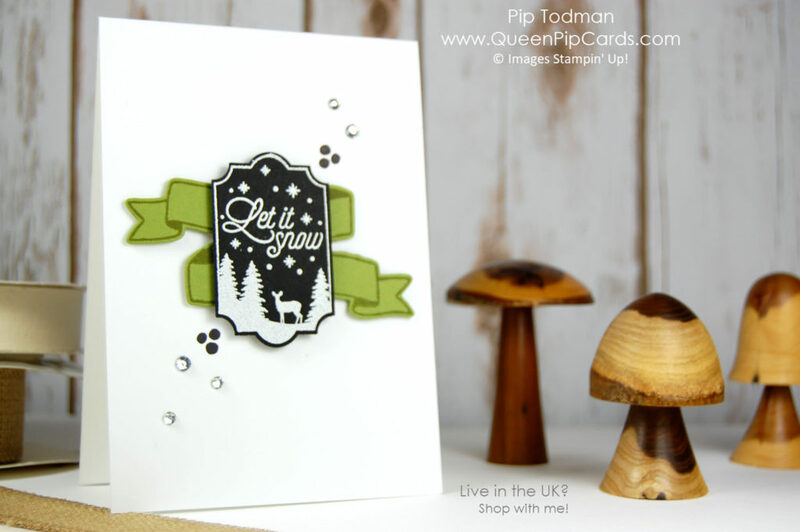 « Merry Little Labels Fun – Tag You’re It!